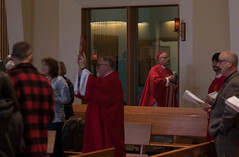 In April of this year, the Diocese of Juneau partnered with The Steier Group to conduct a planning study to determine the level of support for a future diocesan capital campaign. Unlike the Faith in Action appeal which provides unrestricted funds for general diocesan operations, the goal of this campaign would be to raise funds restricted to specific projects. The projects identified were the renovation of the Cathedral of the Nativity, establishing a seminarian fund, closing the priest retirement gap, and establishing a fund for Catholic education. The campaign would also include a sharing component to assist parishes with their local needs. 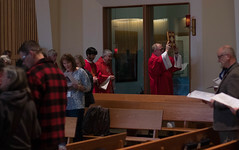 Surveys were mailed to 1,197 individuals and families throughout the Diocese of Juneau, and an additional 123 persons were contacted for personal interviews, including each parish priest. The Diocese received 103 responses (8.6%) via mail and online surveys, and conducted 75 personal interviews (61%). The diocese will wait until a new bishop is appointed before making any major decisions regarding a campaign. Once a new bishop is installed, the findings from this planning study will assist him in discerning the best course of future action.